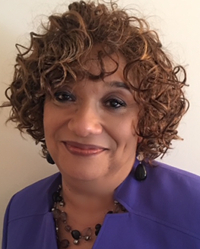 Jenette Ramos is senior vice president of Manufacturing, Supply Chain & Operations and a member of the Boeing Executive Council. She has responsibility for manufacturing strategy and execution of the global supply chain and operations, including advanced manufacturing technologies, quality management systems, Environment, Health & Safety and Facilities & Asset Management. Ramos is a graduate of the Harvard Business School Advanced Management Program. 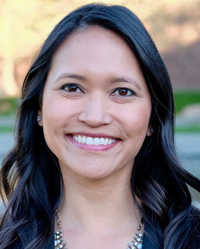 She also earned a master's degree in business from Seattle Pacific University and a Bachelor of Science degree from Washington State University. Actively engaged in the community, she is a Board of Trustees member for The Nature Conservancy of Washington, campaign leader for American Heart Association Go Red for Women, and serves as a mentor for the Executive Development Institute. 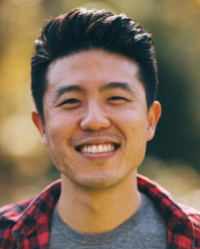 Brian Wong is the co-founder and CEO of Kiip (pronounced “keep”), a category-creating mobile rewards network that is redefining mobile advertising through an innovative platform that leverages “moments of achievement” in games and apps to simultaneously benefit users, developers and advertisers. Backed by American Express, Interpublic Group, Hummer Winblad, Relay Ventures, True Ventures, Verizon Ventures, and others, the company has raised $15.4 million in funding to date. Kiip has been listed by Forbes as one of the 4 Hot Online Ad Companies to Watch, Fast Company's 50 Most Innovative Companies in the World, and been named to the Dow Jones FasTech50 List. Annelyse Ahmad has a B.A. in Psychology and Global Health from Northwestern University. 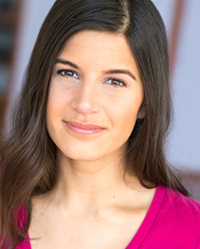 She is also a graduate of The Second City Conservatory, and writes and performs with Stir Friday Night. Other recent performances include playing Sue in Phoenix with Nomades Theatre, understudying at Victory Gardens, staged readings with Silk Road Rising, and Bollywood dancing with Collaboraction. 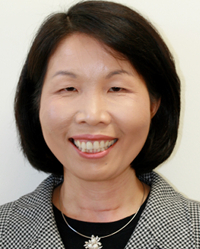 Ms. Akutagawa is responsible for LEAP's strategic direction, sustainability, relationships and collaborations. 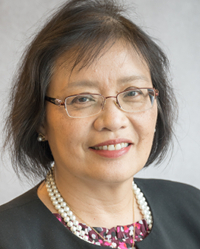 A beneficiary of LEAP’s leadership programming and a passionate social entrepreneur for over 20 years, she has dedicated herself to continuing the cycle of leadership development and inspiring Asian and Pacific Islanders to aspire to leadership roles in all sectors of society. 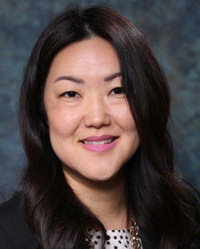 She is an appointed member of the California Department of Insurance (CDI) Diversity Task Force. Linda received her B.S. in International Business with a minor in Economics from California State University. 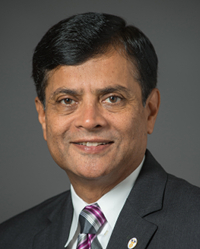 Bharat Amin is VP and CIO for Newport News Shipbuilding, division of Huntington Ingalls Industries. He is responsible for establishing the IT strategic vision and day-to-day leadership of all IT at the shipyard and the HII corporate office. A champion of change, he actively promotes technology capabilities required for the company’s digital transformation and IT’s delivery of initiatives such as Integrated Digital Shipbuilding and Integrated Smart Shipyard. He empowers shipbuilders through the advancement of innovation, diversity and inclusion. 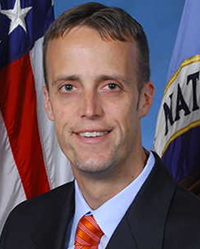 Jeff Bolognese currently serves as the Head of the Mechanical Systems Analysis and Simulation Branch at NASA Goddard Space Flight center in Greenbelt, MD. His branch is responsible for structural analysis and test support of multiple NASA science missions. 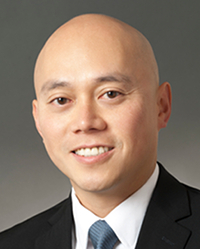 In addition to his branch management duties, Jeff is also the chair of the Engineering Directorate’s Diversity and Inclusion Committee and a member of Goddard’s Asian Pacific American Advisory Committee. 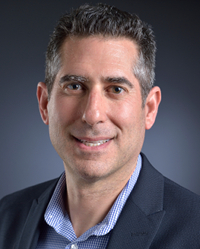 Tom is a Senior Technical Fellow and the Enterprise Leader for the Cyber & Artificial Intelligence Domain at Boeing where he identifies technology trends and formulates strategies to maximize technology leverage across the company. He also has the role of Boeing Technical Director to HRL Laboratories where he coordinates with General Motors, Boeing, and HRL leaders to develop and apply advanced technologies into products. Tom holds a Ph.D. in engineering from the University of California, Los Angeles. 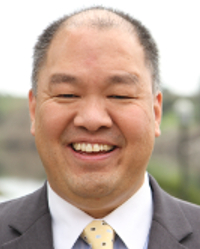 Shane Carlin is the Founder and President/CEO of Asian Student Achievement, a coaching company who helps Asian and Asian American students into the pipeline of leadership with workshops and a diversity-driven job board. With over 20 years of experience spanning higher education administration and nonprofit fundraising, he also led the planning of MAASU conferences throughout multiple years and helped start the SASE chapter at University of Illinois at Urbana-Champaign and Northwestern University. George is a member of the international Partner Advisory Board and the leader of the Intellectual Property Practice Group in the Phoenix office of Bryan Cave. He partners with long-term clients to develop, protect, litigate, and license patents, copyrights, trademarks, and trade secrets. He is a co-inventor of 4 US patents. 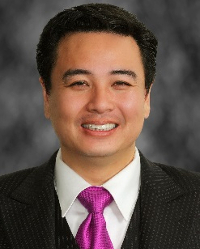 He is a past President of the National Asian Pacific American Bar Association (NAPABA). George worked as an engineer at Motorola, Inc. while he earned his MS in electrical engineering. He also earned his Juris Doctorate with honors from Sandra Day O’Connor College of Law. 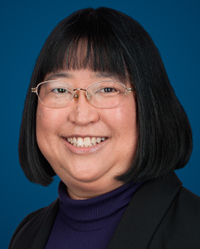 Tammy L. Choy is vice president and chief information officer of The Aerospace Corporation. In this role, she is responsible for Aerospace’s computing resources and infrastructure and oversees strategic planning, policy initiatives, customer service, and the development of applications critical to the success of the corporation. Choy assumed this position in December 2017. 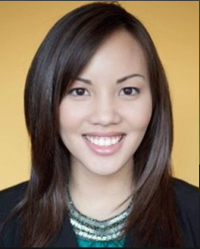 Aimee is a UX Design Technologist for Baker Hughes' new UX Center of Excellence. 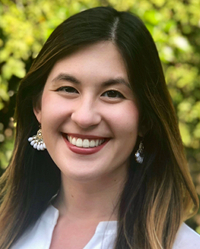 She focuses on user-centered research and validation to build the UX framework and UI component system used company-wide, infusing design thinking into the new company's culture. She is a graduate of GE's 2-year Digital Technology Leadership Program (DTLP). Aimee is the co-founder of SASEtank, and continues her 6th year in SASE by simultaneously serving as the South Regional Manager, overseeing 16+ collegiate chapters. She received a BS in Business Administration and a concentration in IT from Georgia Tech in 2015. 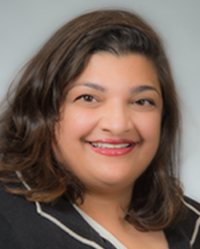 Rita Devassy, the founder of Deva Seed, brings 18 years of technological leadership experience in the competitive, and challenging field of telecommunications. In addition to that, with over a decade of meditative practice, Rita now helps C-suite executives incorporate mindfulness into how they live and lead. Rita has a Bachelor’s Degree in Business Management from Indiana University, and a Bachelor’s Degree in Computer and Information Science from Purdue University. You may recognize Rita as a speaker from the 2017 Society of Asian Scientists and Engineers National (SASE) Conference, 2017. Barry Edwards is currently an Organization Effectiveness Consultant at Northrop Grumman supporting the Technology Services sector. Barry began his over 15 year career in training and organizational development at Stromberg Consulting, a NY-based change management firm working with such organizations as Nielsen, British Petroleum (BP), and Pfizer Pharmaceuticals. He also created and facilitated management and employee trainings for Continuum Health Partners, one of the largest hospital consortiums in New York City. Ed Gerding is the Vice President and Senior Chief Engineer of BDS Engineering Structures and Mechanical Systems. He is responsible for driving engineering excellence in BDS Systems and ensuring the technical integrity and success of BDS development and production. Gerding is also the BDS Structures and Build Engineering Capability Leader, where he has responsibility for all Structures and Production Engineers. Prior to this position, Gerding was with Boeing-South Carolina as part of the enterprise Productivity Leadership Development Program. 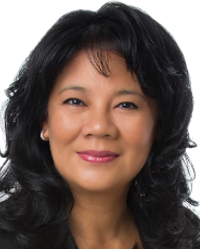 Maureen is the President of the Chevron’s Asian Employee Network (AEN) which has 8 chapters with 3,000 members globally. Maureen started working at Chevron in 2011 in San Ramon, CA. Currently, she is a Supervisor of Legal Analysts in Chevron’s Downstream, Chemicals & Midstream Law group. 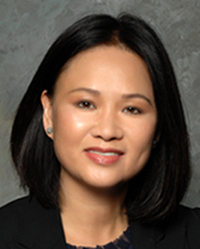 Prior to Chevron, Maureen was a Research Attorney at the Supreme Court of Guam. Maureen grew up in Palm Springs, California and attended University of California, San Diego. Eunice Heath is the Global Environment, Health, Safety & Sustainability Director for Consumer Solutions. In this role, Heath drives product safety, stewardship and sustainability leadership for Consumer Solutions. Additionally, she is responsible for defining and implementing the business portfolio environment, health, safety and sustainability strategy and leading the sustainable products marketing strategy to ensure innovation investments meet customers' current and emerging sustainability needs. Cindy is a University Relations Manager. She has been with GE for 35 years and has worked within multiple disciplines including manufacturing, materials, commercial, engineering, finance and human resources across multiple businesses including GE Government Electronic Systems, GE Industrial Solutions, GE Motors, GE Transportation, GE Aviation and GE Corporate. Cindy holds a bachelor’s degree in chemical engineering from Clarkson University and is black belt and master black belt certified. Dr. Kueichien Hill has been with the Air Force Research Laboratory (AFRL) since 1991 and was selected as an AFRL Fellow in 2002. She received her Ph.D. in Electrical Engineering from Ohio State University with specialty in electromagnetics. 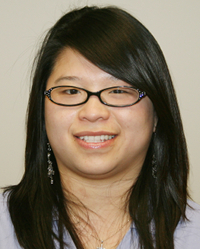 She has served as a research engineer and technology advisor during her career at the AFRL. Her area of interest is in computational electromagnetic modeling and coupling that with high performance computing to solve nationally important problems. Dr. Malina M. Hills is the senior vice president of Space Systems Group. She assumed this position in January 2017. She is responsible for the company’s support to all launch programs, ground networks, and satellite programs overseen by the U.S. Air Force Space and Missile Systems Center, support to Navy satellite programs, and support to the Missile Defense Agency. Dennis' 30-year career in R&D at Procter & Gamble spanned multiple businesses, locations, and R&D functions. He has been involved in everything from P&G's Baby Care and Feminine Protection to Household Cleaner and Hair Color. His global experience includes two 6+ year assignments in Asia expanding P&G's Baby and Feminine Care businesses throughout Asia and the launch of shaped, Ultrathin diapers in Europe. Dennis led the work on identifying and scaling innovation structures, methods, and training across the company. Dennis also serves as an Executive Advisor to SASE. Tony graduated from the University of Virginia with a BS in Chemical Engineering. He started off his career in the oil industry as a mechanical engineer, moving down to Houston for two years. Tony then joined P&G as a process engineer at the very start of the new Tabler Station plant. At P&G's greenfield and flagship plant, Tony has been instrumental in the start up of the Utilities department. Wes advises on business development, diversity, and leadership development for Ascend’s global sponsors and respective organizations. 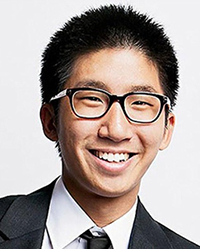 Wes was responsible for leading and advancing Ascend's mission of helping Pan-Asian professionals and community to become the future leaders of today and tomorrow. 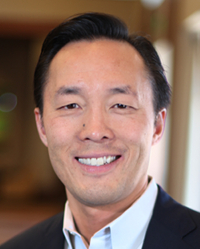 Wes is also co-developer of Stanford University’s Graduate School of Business Advance Leadership Program and in collaboration with a top 10 US business school developing a new innovative multiculture Millennial Leadership Program. 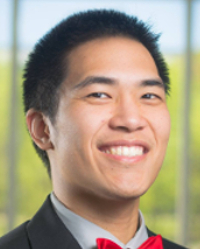 Chris Huang is an Integrated Product Team (IPT) Lead at Pratt & Whitney for an Adaptive Engine Program.Chris is responsible for leading a multidisciplinary engineering team from component design to manufacture for a specific set of parts in a module – covering all aspects of design, structures, and earned value management systems. Prior to his current role, Chris worked for Munich based MTU Aero Engines as a Design Engineer under the GTF Partnership Program. He earned a Bachelor’s degree in Mechanical Engineering with a concentration in Technology Innovation from Boston University. Junie is a Material Process Delivery Scientists for Procter and Gamble located in new Tabler Station Plant, West Virginia. She started her career in Researcher and Development where she delivered key consumer insights and fundamental understanding of habits in her Product Research role for Bounty Paper Towels in Cincinnati. Originally from Burlington VT, Junie graduated with her bachelors degree in Biomolecular Science from Clarkson University. She cofounded and was former SASE President of Clarkson University Chapter and Regional Coordinator of Northeast Region. 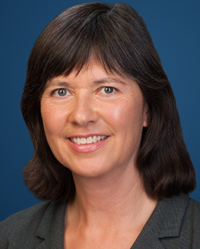 Christine is responsible for developing, leading, and executing organization effectiveness strategies for the Northrop Grumman Technology Services Sector. She is accountable for all talent management and development strategies; high-potential assessment and development; employee inclusion and engagement; and performance management. Christine serves in a key leadership role on the HR senior leadership team, partnering with the sector executive leadership team to continuously evolve organization effectiveness business impact. 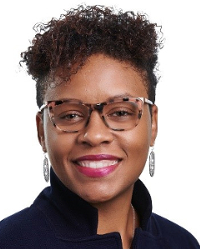 Carolyn D. Jones is the Director of Diversity and Inclusion for Raytheon’s Global Business Development. She is responsible for both the ongoing implementation of a comprehensive diversity and inclusion strategy as well as driving diversity and inclusion strategies and solutions that support global growth. 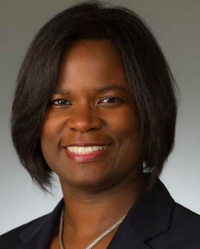 Prior to Raytheon, Carolyn spent 10 years with Booz Allen Hamilton as a Senior Leader for Diversity and Inclusion. In addition, Carolyn was the Director of Training and Organization Development at the University of Pennsylvania. 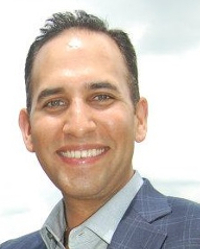 Faisal Khan leads the LM6000 product line at GE Power, and is based in Cincinnati, OH. 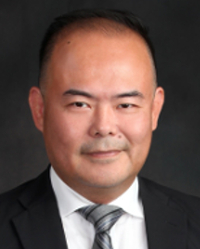 He has held roles of increasing responsibility through his 21 year career at GE, including global assignments in China and Malaysia, and various functional leadership roles. Prior to GE, Faisal worked at Pratt & Whitney, where he completed the Core Leadership Development Program. He has a BS in Mechanical Engineering, from Stony Brook University and a MBA from Rensselaer Polytechnic Institute. 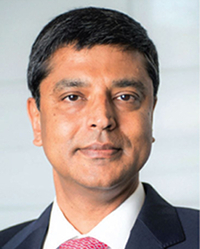 Vivek Lall is the Vice President of Strategy and Business Development at Lockheed Martin Aeronautic, as well as a key advisor to the Cabinet Secretary heading the Department of Transportation. Previously, Mr. Lall was the Chief Executive in charge of U.S. and International Strategic Development at General Atomics in San Diego, where he currently resides. 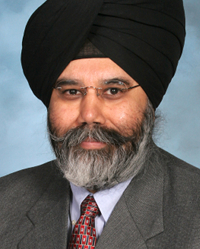 Mr. Lall has Bachelor’s degree in Mechanical Engineering from Carleton University and a Masters of Aeronautical Engineering from Embry-Riddle. 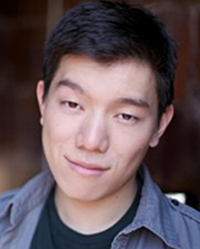 Avery Lee is the Executive Director of Stir Friday Night, a 23-year-old Asian-American nonprofit theater company, specializing in sketch comedy and improv. Our mission is to affect the perception of Asian Americans, in their own eyes, and in the eyes of others. We're based in Chicago, and our alumni include Danny Pudi from "Community", and Steven Yeun from "The Walking Dead". We perform shows and conduct workshops at schools, companies, and organizations around the country. Jeena is the Retail, Pricing and Mobility Apps Supervisor managing a global team that supports 65+ of Chevron’s Downstream Products business applications. Previously as Mobility Infrastructure Manager, she shaped and strategized the roadmap and supported the infrastructure for 22K mobile devices, app store and field computing. 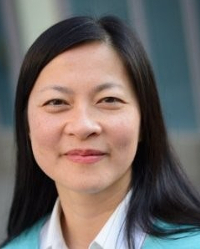 She actively promotes diversity & inclusion as Chevron’s Asian Employee Network President Emeritus and graduated from University of Texas and is the IT Recruiting Team Lead at UT Austin. 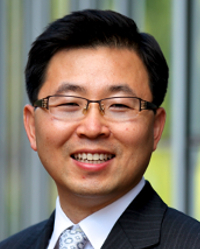 Dr. Mingu Lee is Senior Vice President at Samsung SDS America leading the company’s Mobile B2B team. Before joining Samsung, he worked at Lockheed Martin and Northrop Grumman. He received Ph.D. in systems engineering from George Washington University, master's degree from Johns Hopkins University, and bachelor's degree from the Ohio State University. 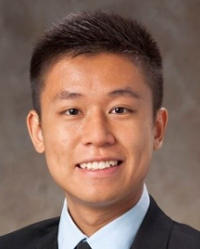 Steven Liu is a Structures Engineer as part of the two-year Engineering Development Program that consists of three rotations. His main responsibilities include performing root cause analysis and risk assessment for rotor wear issue and being part of the Quality Non-Conformances rotor team. In his first rotation, Steven served as a Mechanical Design Engineer for Advanced Engines Program, and his assignments included High Aspect Ratio Shrouded Rotor Research, Inlet Variable Vane Producibility Study for XT900 program, and Inlet Case and Fan Inlet Guide Vane design for a high flow test rig. 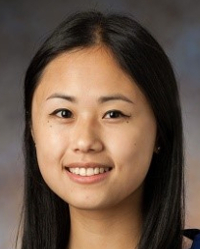 Lila Lu is an Associate Customer Fleet Director at Pratt & Whitney and is responsible for fleet management activities for commercial airlines in the China region. Lila has been with Pratt & Whitney for 2.5 years. Prior to her current role, Lila graduated from Pratt’s Commercial Engines Development Program rotating through assignments in Engine Sales, Fleet Management, and Customer Service. 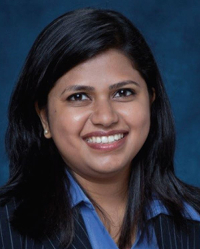 She earned a Bachelor’s degree in Finance from the University of Connecticut and is currently a MBA student at the University of Connecticut. Marie has over thirty years of experience in technical and commercial roles in BASF Corporation and BASF China, including manufacturing, R&D, quality, logistics, purchasing, materials management and accounts payables. 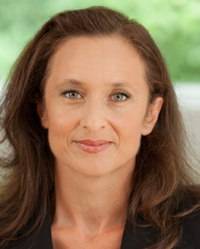 From 2011-2016, Marie was Vice-President of Indirect Procurement Asia Pacific and Greater China Procurement, Shanghai, PRC. She served on the Budget & Finance Committee for the American Chemical Society and Board Member for the Southwest SIDS Research Institute. Marie resides in Texas, is married and has two daughters. 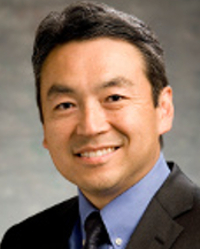 Nyle Miyamoto is Boeing Commercial Airplanes, Additive Manufacturing Chief Engineer. In this role he leads the engineering effort across the Commercial Airplanes business unit to enable Additive Manufacturing Technology to be used on Boeing Commercial Aircraft, and drive the implementation on commercial programs. 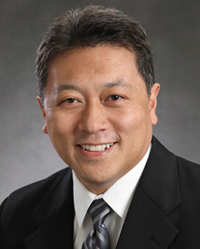 Prior to this assignment, Miyamoto held positions as Structures Design Chief Engineer, 747/767 Airframe and Cargo Design Center Chief Engineer, and Director of Engineering Operations for BCA Processes and Tools. 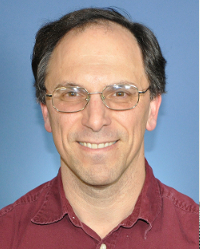 Mark is an Associate Director of Engineering at UTC Aerospace Systems in Windsor Locks, CT. He began his career with UTAS in 2002 as a Systems Engineer and currently leads the 787 engineering teams for Air Management and Electrical Power Systems. In 2016 he was a recipient of the Horner Citation UTC corporate award for collaboration across multiple UTC business units. He received his Bachelor of Science in Electrical Engineering as well as MBA from Western New England University. 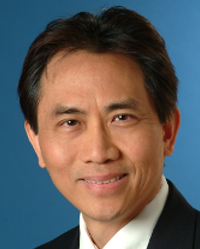 Mark and his wife Creedance, along with their two boys, Crosby and Colt, reside in Southington, CT.
Van Nguyen is a senior software development manager for the Enterprise Service organization at Northrop Grumman. She received a B.S. in Industrial Engineering from the University of Oklahoma and professional consultant certifications in ABAP Development and Solutions Manager from SAP America. She leads an organization of 70 developers responsible for the company’s ERP and integration solutions, which include the suite of SAP systems, COTs and mobile/web applications. Danh Nguyen-Huynh was the SASE 2017 Technologist of the Year award winner and is currently a Technical Fellow with Northrop Grumman. 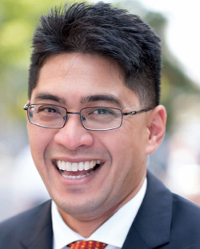 Danh has over 15 years of experience in IT and is currently supporting the Enterprise Network Management office at the Department of State as a Lead Architect and IT Strategist. David is currently the COO of the MyIntent Project (MyIntent.org), a fast growth e-commerce start-up where he oversees all operations and a multi-million dollar marketing budget. Prior to this, David spent 3 years as a Sr. Product Manager at Amazon where he led a team of 20 software developers to build a marketing platform which is used by thousands of companies globally, whose content is seen by millions of Amazon shoppers daily. With 6 years at P&G, he started as a product designer on tampons before transitioning into marketing leading a brand overhaul for the Gillette Mach3 franchise. 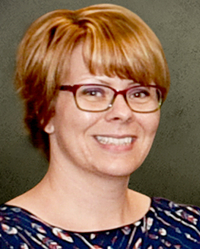 Helen joined Northrop Grumman in 2012 and has held technical, managerial and leadership positions, she is currently serving the role of business facing director for Advanced Strike and Mission Enablers for Airborne C4ISR. In this role she is responsible for overseeing the all Engineering aspects within the business unit. Helen holds a bachelor’s degree in Electrical Engineering from The University of Texas at Austin and an MBA from Robert H. Smith School of Business. 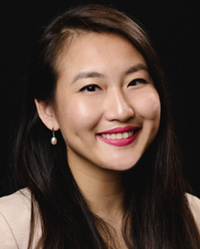 Alyssa Pham is a Software Engineer with 10 years of experience in testing avionics software for the International Space Station (ISS). Member of the ISS Vehicle Control Software - Formal Qualification Test Team; role encompasses developing software verification test plans, procedures and environments; executing test procedures (C/C++) and documenting results to ensure software system requirements are met. 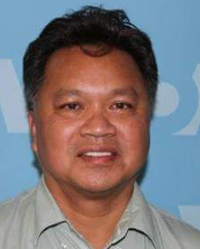 Born in Viet Nam and grew up in Southern California, completed a BS in Computer Engineering at San Diego State University. 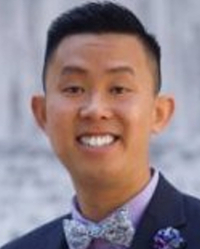 As the Chair of Elevate, Vu H. Pham, Ph.D. works with dozens of organizations from the Fortune 500 to government and non-profit agencies. 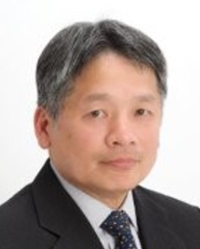 Dr. Pham and his work have been featured on national and international multimedia venues, such as CNN, MSNBC, the Associated Press, Voice of America, The Los Angeles Times, KSCI International Television, Diversity, Inc., Strategic Innovators, Asian Week and Radio Free Asia. He has given keynote speeches on numerous occasions and presented at many conferences internationally. 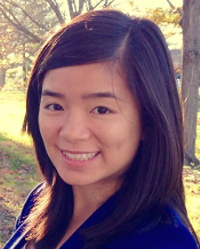 Leni is a business operations specialist for Manufacturing and Supply Chain Operations at The Boeing Company. In her current role, she works to ensure the success of daily operations through the office of the MSCO Senior Vice President and leads functional teams through mergers & acquisitions transactional due diligence and integration. She is currently pursuing her Master’s in Management at the Harvard Extension School. In her free time, Leni likes to paint, travel, and aspire to her goal of becoming a polyglot. Amar Rai is Director for Controls Engineering within the Electronic Systems sector of BAE Systems. He holds Bachelors and Masters Degrees in Engineering from the University of Notre Dame. Amar leads the Controls organization to design, develop, produce and support control electronics used in safety critical aircraft and ground vehicle applications. Amar is also focused on building a diverse and inclusive engineering organization which will meet and exceed the expectations of our global customers. 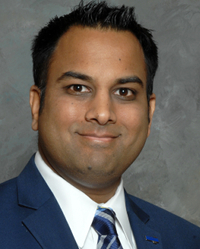 Vijay Ramakrishnan is a Lead Senior Project Manager on the F-35 program. He has 12 years of experience in Aerospace industry with work experience in project management, internal audit, supplier management, and finance. He has a Bachelors in Economics of University of California, Irvine, Masters in Project Management from Keller Graduate School of Management, MBA from Arizona State University, and Project Management Professional Certification from Project Management Institute. Chief Robert Anthony Rivera was born in Burbank, CA. He graduated from Rancho High School in Las Vegas, NV in 1995. He reported to RTC Great Lakes in January of 1996. In September 2013 he transferred to NRD Richmond, and was promoted to the rank of Chief Petty Officer. He served for 3 years at NRD Richmond as Division LCPO, running Division 6 and earned NRD Richmond’s Division of the Year during FY-15. 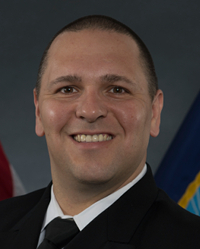 He is now currently serving as the Diversity Programs Manager for Navy Recruiting Command. 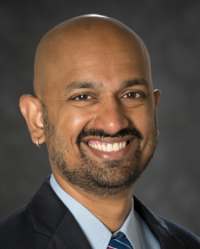 Rahul Shah is Director of Programs for Northrop Grumman Mission Systems Sector’s Cyber and Intel Mission Solutions Division where he is responsible for program performance, customer engagement, business growth, and talent management strategies. Mr. Shah has served in various roles of increasing responsibilities during his 15 year career at Northrop Grumman. 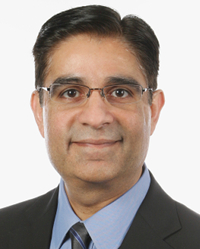 Mr. Shah is a graduate of George Mason University where he earned a Bachelors degree in Computer Science and a Masters degree in Information Systems. 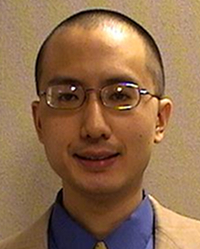 Chris Sim is a Sr. Research Engineer at ITW. He began his career as a software engineer at US Robotics. In 2001, Chris joined a successful off-shore startup operation in Asia, allowing him to explore and learn the international market dynamics in the areas of advanced technology adoption and productization. Upon returning home in 2007, Chris continued to leverage his core value in technology and product innovation to support and meet customer expectations, development objectives and organizational goals. Along the way, Chris has worked on number of products and solutions. 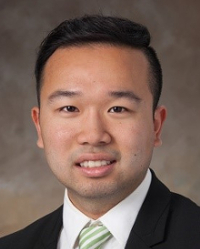 Joseph Thai is an Operations Specialist at Pfizer Inc. working with their new cutting edge Gene/Cell Therapy department. 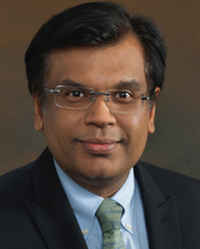 At Pfizer, his assignments include the operation, optimization, and verification of purification equipment to manufacture new pipeline therapies for patients. He graduated from North Carolina State University (NCSU) in 2016 with a Bachelor's in chemical engineering and a concentration in bio-manufacturing. Prior to this, he was a founder of the SASE NCSU chapter, a SASE Jr. team member, and a Regional Coordinator for the South Region from 2016 to 2018. 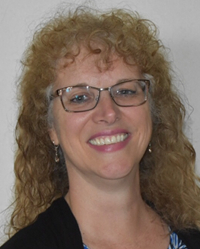 Maria Thompson is the ITW Global Innovation Process Director, helping ITW project teams successfully launch differentiated solutions of high value to customers. Maria is a technology operations leader with international experience in innovation, change management, and organizational capability improvement. 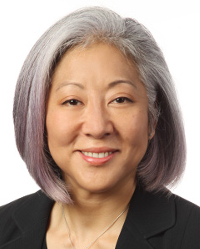 She has worked on improving organization’s new product introduction capabilities for over 20 years with Motorola, AT&T Bell Laboratories and ITW, where she currently facilitates Customer Discovery, Customer Value Propositions, Go To Market Strategy, and Structured Brainstorming workshops. 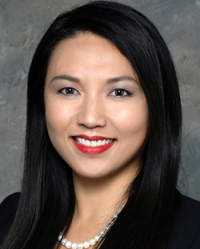 Mai Ton brings over 15 years of experience to her role as VP of Humans for White Ops. In this role, she is charged with scaling White Ops’ people strategy in line with the challenges associated with rapid organizational growth. By instituting the programs and cultural framework for unleashing the full potential of employees, she drives the team’s long-term development, while developing the company’s stature as a “Great Place to Work”. She is a frequent speaker and shares her leadership and management experience to help others in the landscape specific to fast growing technology companies. Jennifer Turner earned her BS in Computer Science & Engineering, and has worked at NASA’s Johnson Space Center since 2013. Previously, she interned with Boeing Avionic Systems, and at NASA as a Pathways Intern with the Robonaut2 project. She now supports Mission Control as a CRONUS flight controller for the International Space Station, working real-time operations, and teaching new flight controllers and astronauts about systems onboard ISS. 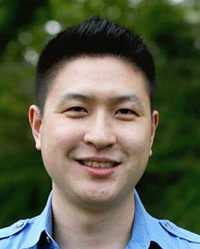 As Retrofit and Repair Engineering Manager of Customer Support, Michael Vu is responsible for technical leadership, management and direction for the Retrofit and Repair Engineering teams where people working together to provide perfect airplane maintenance solutions. He also works directly with airline customers, strategic partners and suppliers to understand their requirements and provides leadership and direction for all activities relating to Service Bulletins and Structural Repairs. Ranachith ‘Ronnie’ Yimsut (A former refugee and a young orphan from war torn Cambodia, an author and community activist, a senior Landscape Architect for the USDA Forest Service’s Technical Services Team, an "Interim" General Manager, Founder and Chair of the Bakong Technical College and an IRS 501c3 charitable BTC USA, Inc., the 2009 Milwaukee's area "Most Influential People" and the 2012 Ellis F. Lawrence Medal recipient) shall share with the audience his own personal “journey into light” and his 35 years of professional practice experience, in both private and public sector. 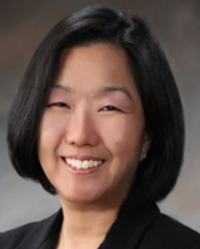 Suyin Copley is the Senior Human Resources Manager, Military Systems Operation (MSO) in GE Aviation. She has been with GE for 29 years working across multiple disciplines including commercial, manufacturing, environmental engineering and now HR, and working across multiple businesses and locations including GE Plastics, GE Healthcare, GE Transportation and currently in GE Aviation. Suyin holds a bachelor’s degree in mechanical engineering from Cornell University and is black belt certified. Suyin was on the board of SASE as the organization was being launched. 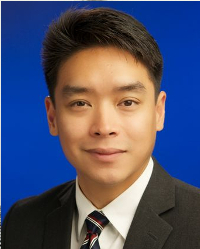 JP Dinh is the IT director for business partners and program management in the Lockheed Martin Space business area where he is responsible for IT strategy, technical direction and delivery of capabilities to classified programs. He has over 20 years of experience in multiple cyber security and information technology fields and is passionate about increasing diverse representation at all leadership levels and driving more participation in STEM. 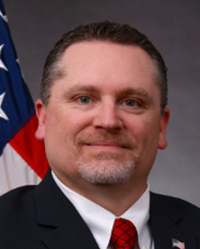 Mr. Thomas C. Dowd currently serves as the Director, Range Department and is responsible for all Naval Air Systems Command (NAVAIR) Ranges as well as the Air Vehicle Modification and Instrumentation (AVMI) Department. The department headquarters is located at Point Mugu, Calif. and is a part of the Naval Air Warfare Center Weapons Division Command. 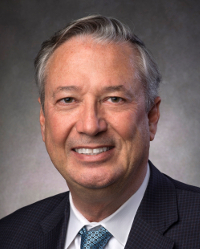 It is responsible for the management of NAVAIR’s ranges, primarily located at three sites, Patuxent River, Md., China Lake, Calif. and Point Mugu, Calif.
Tom has had a varied career in corporate America, as an entrepreneur and in business development. Tom is currently Director in the Cincinnati USA Regional Chamber of Commerce’s Minority Business Accelerator. He coaches businesses to add $1Billion in sales and 3,500 jobs. Tom is on the Advisory Committee of Data Inventions, a SaaS company, and helped arrange individual and institutional investors. Tom opened two franchise spas. Tom had a 23-year career at P&G, holding positions of increasing responsibility in External Manufacturing, Chemicals, New Business Development, and Business Services. 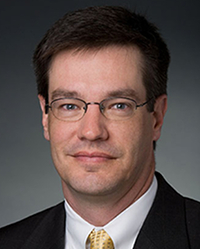 Brian Fields is the Vice President of Business Transformation for Newport News Shipbuilding, a division of Huntington Ingalls Industries. Named to this position in 2015, Fields is responsible for transforming all aspects of the business to be more agile and efficient with a special focus on people, technology and culture. He has a bachelor’s degree in mechanical engineering from Auburn University and a master’s degree in business administration from the College of William and Mary. 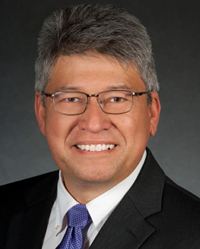 Dennis Floyd is the Vice President of Strategy for Boeing Global Services. This function provides strategic planning and support to the U.S. Government Services; Commercial Services; Business Aviation/General Aviation; and International Government Services businesses and the Supply Chain; Digital Aviation & Analytics; Training & Professional Services; and Engineering, Modification & Maintenance capabilities across Boeing Global Services. Floyd is responsible for the development and implementation of the function’s strategy and planning activities. 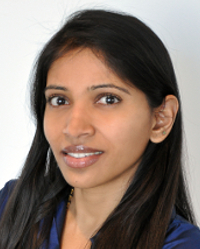 Tanuja Garde is the Vice-President for Intellectual Property & Licensing at Raytheon Company. Raytheon Company (NYSE: RTN), with 2017 sales of $25 billion and 64,000 employees, is a technology and innovation leader specializing in defense, civil government and cybersecurity solutions. Prior to this position, she held IP leadership roles in other large companies. She also served in the US Government as the Deputy Assistant USTR for IP and Innovation, where she was the lead negotiator in several bilateral and multilateral IP and trade negotiations. 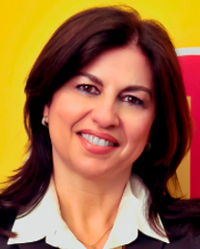 Selda Gunsel is the Vice President of Global Commercial Technology within Shell’s Projects & Technology organisation with responsibility for leading a global group of scientists and engineers in the delivery of innovation, R&D and technical services to Shell Lubricants and B2B businesses including Marine, Aviation, and Specialties. Selda was elected to the National Academy of Engineering in the USA in 2017 in recognition of her distinguished contributions to engineering. Election to the National Academy of Engineering is among the highest professional distinctions accorded to an engineer. Andy C King currently works at The Aerospace Corporation advancing the research and development of Visualization Technologies. He has a B.S. in Computer Science from California State Polytechnic University, Pomona and has been working in the Video Game, Film, and Animation Industry for the past 20 years. Dr. Prasanna Kondapalli is Lead- Structural Analysis Group., Computer Aided Engineering (CAE) in the Performance Materials Division in BASF. Job responsibilities include application development and CAE structural analyses of plastic components such as air intake manifolds, oil pans, cam covers, automotive seating, mounts, brackets etc. Almost 25 years of experience mainly in CAE simulation and mostly pertaining to plastic structural components in the Automotive Industry. Lately, the focus has been on modeling anisotropic behavior of fiber filled composites. Shweta is a senior executive with over 13 years of global experiences in strategic human resources business partnership, executive and leadership development, and diversity and inclusion, in multi-billion dollar, fortune 200, public as well as private companies. She is currently the Vice President of Human Resources at Silver Eagle Distributors. She has worked in several different environments, cultures and business structures that have required her to drive human capital strategies to make progress and deliver results. 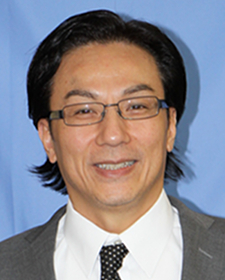 Dr. David E. Lee is lead for thermal power development and space tether technologies and systems within Aerospace Systems at NGC. He is program manager for multiple technology development and future systems contracts and serves as manager of the sector's Integrated Concept Development Facility for rapid spacecraft design in CA. 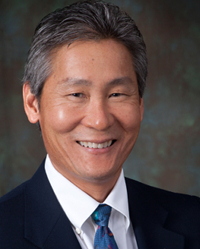 Dr. Lee has impacted the careers of STEM students over many decades teaching classes in CS, spacecraft design and manufacturing & systems engineering. He is section author for Spacecraft Manufacturing Integration and Test in Space Mission Engineering: The New SMAD. 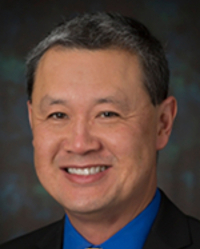 Dr. Dennis Lee is a research scientist with Sandia National Laboratories. Cheryl Litteral serves as the Chief of the Human Capital Planning and Development (HCPD) Office for the U.S. Army Research, Development and Engineering Command (RDECOM). Cheryl and her team are part of the Human Resources (HR) Department in RDECOM. Cheryl is a veteran of the U.S. Army, where she served as a Tank Turret Repairer and a leader. Cheryl started her HR career in 1999, when she was hired to work as a Recruiter for a small firm in Temple, Texas. Since 2000, Cheryl has worked as an HR professional for the federal government. Tabrez is a senior executive with over 16 years of global leadership & P&L experience in operations, strategy, turn-around, commercial finance, FP&A, M&A, and regulatory compliance (GAAP, IFRS). Tabrez is currently CFO of $1.5BN Engineered & Product Solutions for ABB. Prior to this, he worked in multiple industry segments in leadership roles to drive operations and finance linkage for growth and business turn-around. He has trained through GE Corporate programs and was a trainer for corporate programs/training. He received the Multi Cultural Leadership Award by the National Diversity Council. Ajay has worked at Shell for 22 years, mainly in Deepwater exploration and production. Following his 1st 10 years in R&D, he assumed assignments in production operations and project management, including postings in Malaysia and New Orleans. Currently as the General Manager for New Energies Research & Technology, he leads a global team tasked with developing innovative and competitive technology solutions to meet the needs of the energy mix of the future. 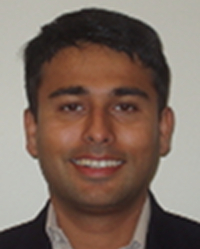 Ajay holds a PhD in Chemical Engineering from the Colorado School of Mines and an MBA from the Massachusetts Institute of Technology. 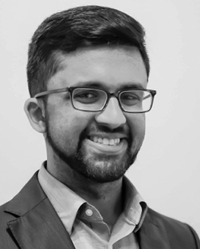 Shekhar Mitra currently serves as Premium Consulting Partner at YourEncore, Inc and President of Innopreneur LLC, a global new venture and leadership development consultancy. 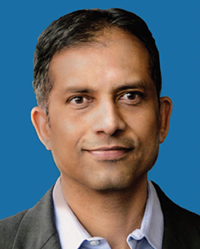 Prior to this, Shekhar served as the Senior Vice President of Global Innovation for Procter & Gamble and was a member of top executive team, Global Leadership Council. He was on the ground in China starting P&G’s well-recognized global innovation center in Beijing, and led the start of the strategic partnership with Government of India’s Council of Scientific & Industrial Research (CSIR). 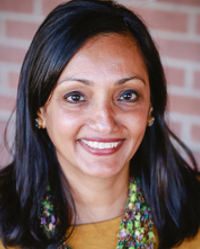 Ketal Patel is passionate about sharing her technical and leadership experiences with others. Ketal is innovating on what it means to be a leader in modern industry by actively inspiring young generation to get involved in STEM, mentoring engineering Ph.D.’s and MBA’s in professional development, and coaching professionals in career advancement. She co-founded a women’s business resource group at Motorola and her work at Raytheon has shaped customer strategies and acquisition of $2B+. Ketal holds Master’s in Engineering Management and Master’s in Electrical Engineering, is certified as Program Management and Six Sigma Green Belt, and has a patent in innovation. At Lincoln Lab, Dr. Sandeep Pisharody studies ways to improve the cyber defensive posture of US government systems. His areas of interest include network and cloud security, modeling and simulation, and human factors in security. He has a Ph.D. in Computer Science from Arizona State; an MS in Electrical Engineering, a BS in Electrical and Computer Engineering from Nebraska. 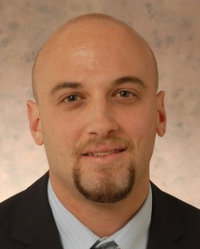 He has over ten years of industry experience working at Sprint, Iveda, Apollo Group and Insight. Srinivas is currently the Director of Product Supply for P&G Global Grooming Business: Gillette, Braun, Venus, & The Art of Shaving. Srinivas is responsible for Global Innovation and Supply Network Operations. 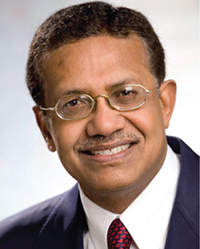 Srinivas led the P&G Product Supply Asian American affinity network (2006-2009) and served as a member on the P&G Asian American Leadership Team. He has held variety of leadership positions in Product Supply and R&D with responsibilities across product innovation, process development, capital & program management, engineering, global expansion, and supply chain management. 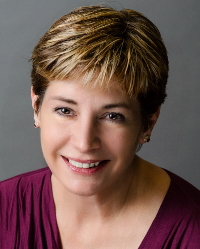 Dr. Scire-Scappuzzo is Sr. Director of Advanced Technology and Innovation at BAE Systems Inc. Francesca has over 20 years’ experience as an academic, an executive, an inventor, and an entrepreneur. Her technical expertise is in designing, prototyping, patenting, and integrating next generation electronic devices for commercial, military and scientific applications. Munjeet Singh is a Vice President in the firm’s Strategic Innovation Group, leading the firms Immersive Computing practice. 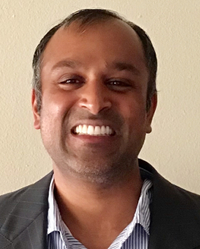 In this role, Munjeet leads a team focused on the convergence of Immersive (Augmented Reality & Virtual Reality) Gaming and Cloud Architectures (Cloud Gaming). Munjeet’s team works closely with our clients to design, develop and implement serious game solutions that transform legacy training, model & simulation and logistical planning applications. These solutions are integrated with distributed system architectures to ensure scalability and low latency experiences. 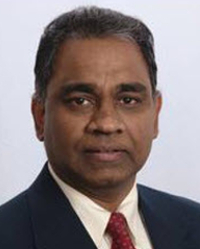 Kishore is President of Engineering and Product Management for Baker Hughes, a GE company. 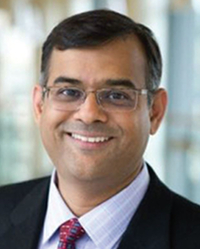 Kishore currently leads 8,000+ engineers and product management through a vision built on systems-level thinking, lifecycle value, and customer collaboration. Kishore brings 25+ years of experience leading multi-functional, multi-cultural teams across Chemicals, Oil & Gas, Metals, Minerals & Mining, and Pulp & Paper industries. His relentless focus on customer needs has resulted in improvements to underperforming operations while balancing cost and growth. Kindra started her career with General Mills in 2003 as a Business Management Associate in the Consumer Foods Sales Division. In 2015, Kindra was promoted to Sales Recruiting Manager. Her recruiting responsibilities included both campus and experienced hiring. Kindra supported the Sales Leadership team and was responsible for staffing all experienced hires. She recruited at several universities over the years. Kindra moved to her current role in March 2017 as Recruiting Manager for the Supply Chain function. She leads campus recruiting for Logistics, Operations/Engineering, and Sourcing. 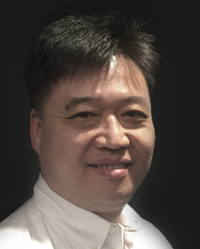 Fang Yao, an application developer on the maritime team at Esri, develops bathymetry solutions in ArcMap and the Products on Demand (PoD) web application. She is passionate about her work in geographic information systems (GIS), because it solves problems faced by users in this industry. 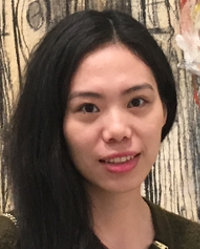 Fang has a master’s in Photogrammetry and Remote Sensing from Wuhan University in China and a master’s in Ocean Mapping from the University of New Hampshire. Her hobbies include traveling, baking, and cooking.